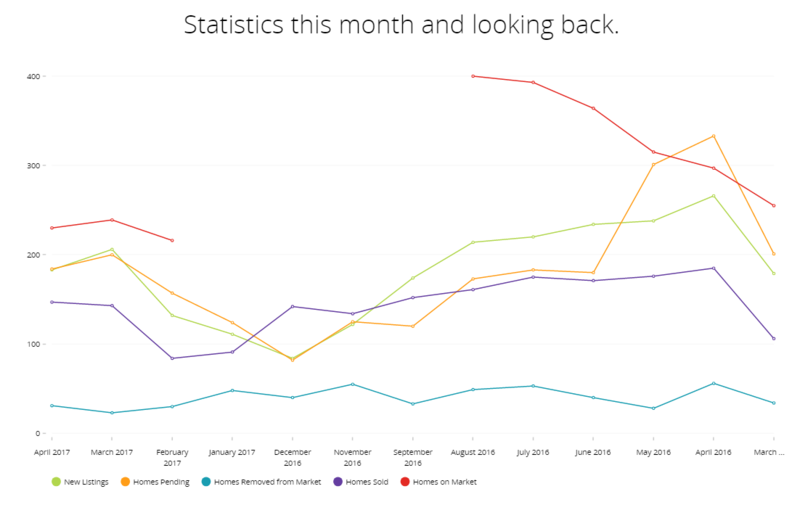 Its been another month and we have our monthly statistics to review. These statistics only apply to Idaho Falls but they are definitely not quite what I was expecting. Home on the market. This is the most disconcerting piece of this whole thing. Last year we had about 40% more homes on the market at this point. It should be interesting to see how this next month goes as this number should rise through the summer but thus far is staying fairly steady. List to Sales Price is pretty high- meaning there’s not a lot of negotiation taking place with sellers at this point. Historically this won’t really change much until we start to get into the fall season. And the average days on the market for April of 2017 was 65. This doesn’t apply to homes at The Group Real Estate though- we are much-much lower than that! This is probably due in to a couple things. 1- We are all pretty awesome. 2- We don’t just put a sign in the yard. We actually market our listings.